Redenka Holiday Club near Razlog and Bansko ski resort. Direct bookings of apartments and chalets with discount. The website is owned by Property Management BG, a licensed tour operator /№05652/ with 12 years of history. 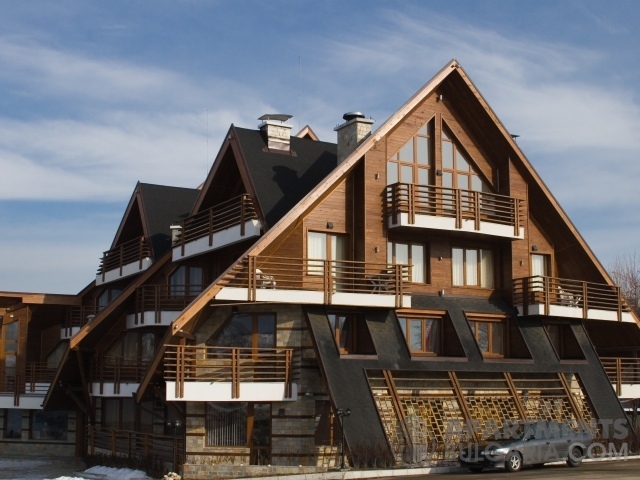 We introduce to you Redenka Complex, located in the Redenka Place, overlooking the gorgeous Pirin Mountains on the South and the Rila Mountains on the North. 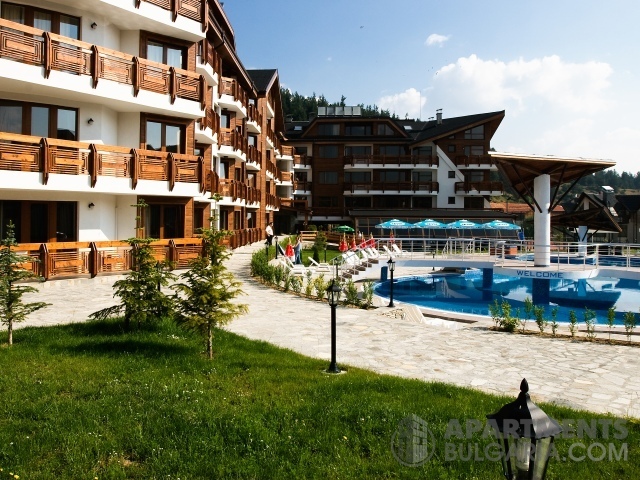 It is approximately 8 km away from Bansko ski resort and 2 km from Bansko Golf Course. - The spacious Redenka Palace comprising 87 luxurious apartments. - The annual awards "Building of the Year" nominee Redenka Lodge with highly imaginative designed and truly unique looking 19 apartments. - Redenka Chalets come at last but not least - 24 fashionable alpine style holiday villas, perfected in a way which will make your vacation unforgettable. - Grand Redenka, our new release of 119 luxury studios, one-bedroom and two-bedroom ski apartments (now available for sale). Redenka Complex is recently built and furnished to the highest standards with all cooking and self-catering facilities and household appliances. You will be pleased with the fine selection of international channels supplied by the cable TV and the broadband Internet connection available in each apartment. You will be able to use also the Wi-Fi network, that has almost 100% coverage in the complex.